Hesperian Death Horse is a post-metal/avant-garde/sludge band from Zagreb, Croatia. Their second album, Ziv, is named after the Croatian word for “Alive”. This name fits the themes of the lyrics, which describe the cycles of life, death, creation, destruction, and rebirth. Their first album, Mrtav, was named after the Croatian word for “Dead”. They will soon have a third and final album, Rodjen, named after “Birth”, completing the trilogy. This second installment is eerie, disturbing, and dissonant. The bleak poetry of the lyrics and the chaotic instrumentation embody the frustration and failure of human existence. This is a great follow up to their debut album, Mrtav, or “Dead”. Mrtav explored the pain and loss of death, Ziv explores the pain of life, and Rodjen will explore the melodrama of birth. The cycle of suffering repeats, from the cradle to the grave. This trio of concept albums is a brilliant idea, and well executed. I highly anticipate the ultimate finale, Rodjen, projected to release in the year 2020. In addition to the trilogy, the band also made a split EP, The Electric Wizard. 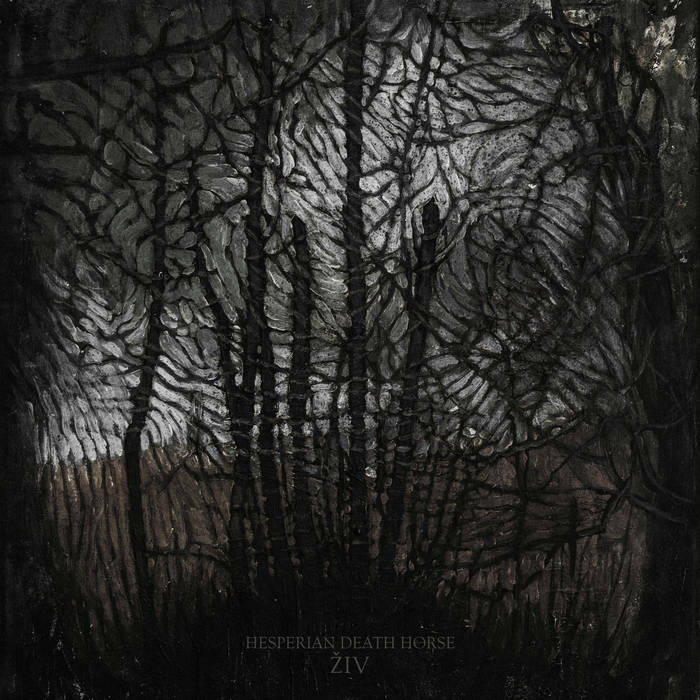 Hesperian Death Horse has a promising track record with all of their albums released so far. Their music is dark, brooding, moody, and noisy. Check out their music on Bandcamp, Facebook, and Youtube. Four stars out of five!